Mengqian Sun publication to Composites Part B: Engineering! Congratulations to Mengqian for her publication of “An analytical study of the plasticity of sandwich honeycomb panels subjected to low-velocity impact”. Her work was co-supervised by Prof. Kim, Prof. Mechefske, and Prof. Wowk. We look forward to your future work and publications! Congratulations to Luke Ryan on his publication to IJNME on multiobjective topology optimization for AM! Luke Ryan has published his paper on “A multiobjective topology optimization approach for cost and time minimization in additive manufacturing” to the International Journal for Numerical Methods in Engineering. Congratulations to many of our students on earning various scholarships. We are all proud to see your hard work pay-off, keep up the excellent work! Congratulations to Dr. Kim on his recent appointment as an Adjunct Associate Professor in the Department of Mathematics & Statistics at McMaster University! 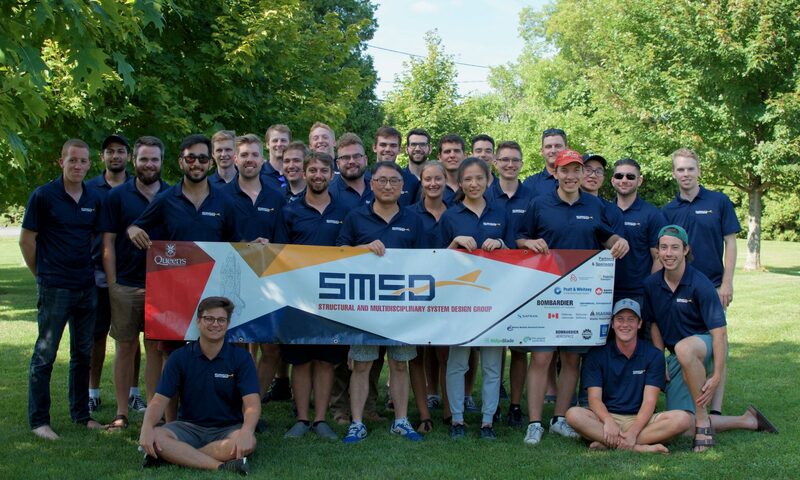 Congratulations to Jaryd Traer who has successfully defended his masters thesis on “High Fidelity Additive Manufacturing Process Modelling for Residual Stress and Deformation”. Jaryd has contributed heavily to the SMSD group and will be missed. We wish you success in your future endeavours! Congratulations to Rubens Bohrer, Kevin Conklin, Luke Crispo, and Evan Munroe on joining the SMSD lab! Rubens is pursuing his PhD in SMSD, he received his MASc at Instituto Tecnológico de Aeronáutica and spent 5 years as a development engineer at Embraer S.A..
Kevin, Luke, and Evan all earned their BASc at Queen’s Applied Science in mechanical engineering, and have decided to continue their studies as MASc students in SMSD.